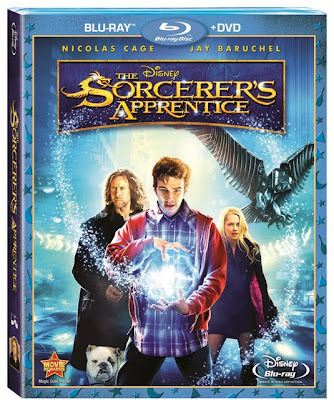 If Regis Philbin is bold enough to balk at the legitimacy and approach utilized in the so-called Fantasia inspired Sorcerer's Apprentice in a throwaway remark made after watching a clip of the CGI extravaganza during a promotional interview with Nicolas Cage, you know your movie is in trouble. 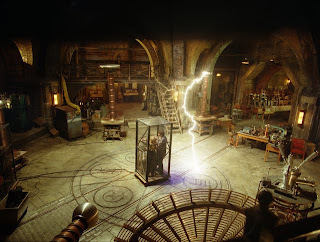 While it was tempting to be reeled in by the charismatic Oscar winning Cage, who also served as a co-producer on Jerry Bruckheimer's most recent misfire as he passionately pontificated over the mythical origins of the Merlin inspired magical plotline and their decision to update and adapt Fantasia 's beloved Mickey Mouse symphonic sequence, once the footage rolled, it was painfully apparent that the morning co-host wouldn't be falling for the film hook, line and sinker. Philbin's fake smile disappeared for a fraction of a second and he quickly surmised the thoughts of everyone else (including this reviewer who'd happened on the segment by chance), which specifically were that helmer Jon Turteltaub's brainless box office bomb had little if anything in common with the House of Mouse original. Moreover, because it's highly doubtful that you'll care to revisit the film or remember very much about it once the final credits roll – complete with an obligatory Marvel movie modeled teaser for a possible spin-off sequel – Disney made a brilliant decision to ultimately treat the popcorn picture as though it were the world's most expensive, feature-length advertisement for their recently unveiled Blu-ray Combo Pack debut of Fantasia/Fantasia 2000 . By releasing both titles on disc on the exact same day right alongside a trio of nostalgia infused behind-the-scenes Disney documentaries (Walt & El Grupo , Waking Sleeping Beauty and The Boys: The Sherman Brothers' Story ), the studio hoped to cash in on the irresistibly lucrative holiday commodity of Mickey Mouse shopper sentimentality. 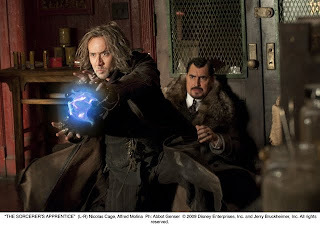 Relying far too little on the always affable Nicolas Cage and far too much on spectacular effects at the expense of a substantive plot, The Sorcerer's Apprentice is rocky right from the beginning. 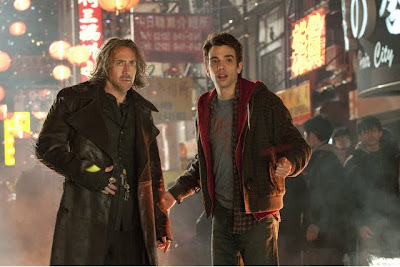 While eventually we realize that the sorcerer Balthazar Blake (Cage) will find the historically destined apprentice he's looking for in the nerdy physics student Dave Stutler (Jay Baruchel), the five men credited with crafting the tale seem to have a great deal of trouble in deciding how to start the movie by choosing to do so three distinct times. As such, they follow up the fantastical period movie prologue centering on the death of Merlin with another expository sequence set in 2000 that feels like a cross between Spiderman and Harry Potter before finally settling into the events of present day. Yet the problem then becomes that, because we've been given the confusing luxury of seeing three loosely connected threads sewed in three very different ways, we realize that the least interesting approach they've taken is in the 2010 chronology, given the dubious characterization of the miscast Baruchel who seems more interested in reconnecting with his middle school crush than saving the world. 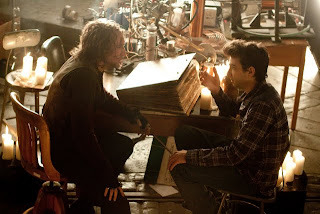 Nonetheless, it's more coherent than Bruckheimer's overblown action fueled video game adaptation Prince of Persia: The Sands of Time that like this fellow 2010 cliché ridden release incorporated Oscar caliber talent. 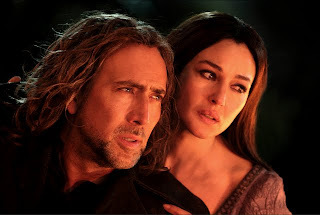 But when you consider just how much money went to waste in producing these two lackluster “commercial products” which were greenlit to ride the coattails of the filmmakers' past collaborations and franchise hits including National Treasure and Pirates of the Caribbean , you're left disenchanted by the overall display of entitled excess run amok. And predictably, the Blu-ray transfer of the largely digitally made green-screen feature is top-notch with unbelievably realistic sound that makes the most out of every single speaker in your home theater set-up and razor sharp visual clarity that's far more convincing than Disney's disappointingly blue-screen tinged Race to Witch Mountain .